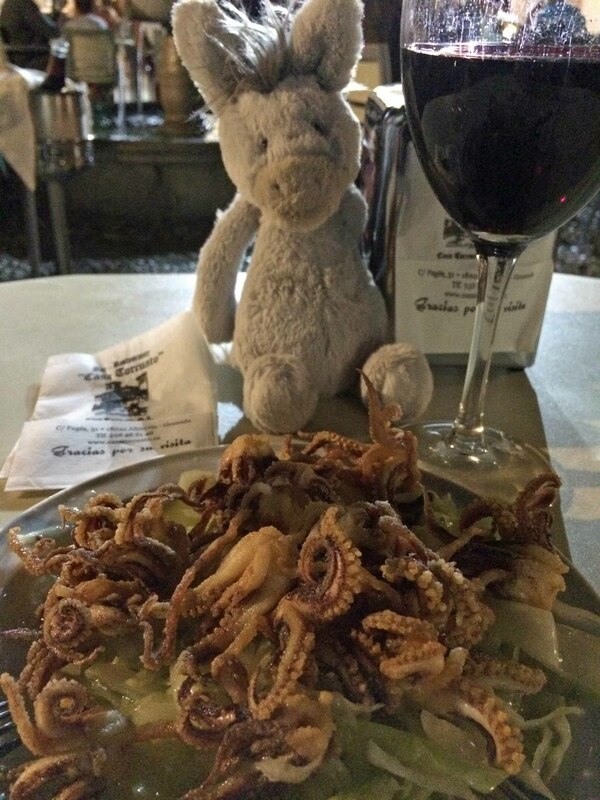 One of the best things about Granada is that whenever DonQui goes for a drink in the evening he is offered free tapas. 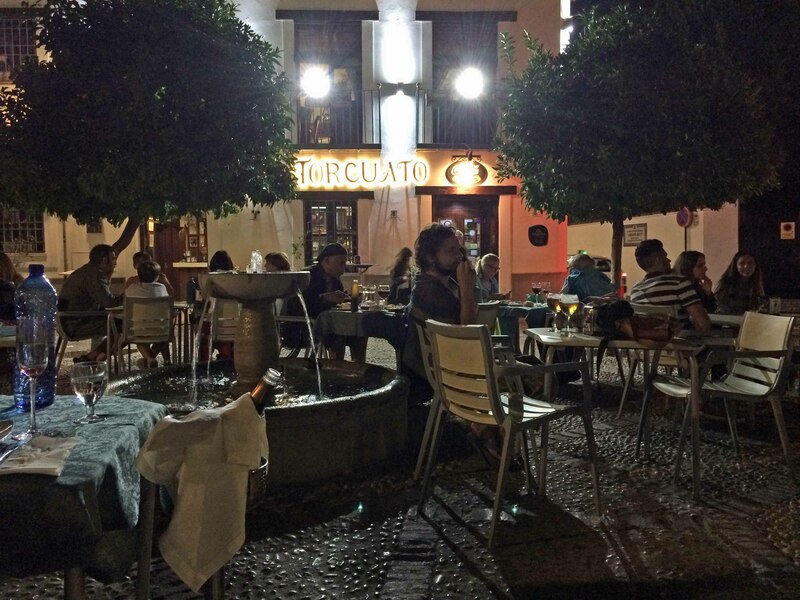 His favourite haunt is Torcuato at the top of Cale Pagés in Albayzín which seems to be primarily frequented by locals. From 9pm onwards the atmosphere is buzzing and DonQui spends several happy evenings here whiling away the hours sipping wine, savouring the free tapas, and occasionally ordering a dish or two off the menu. It is the sort of casual place DonQui likes — good food and drink without any pretension or fuss. It would probably not appeal to those who want slick service or an orderly meal. The tapas varied each evening – DonQui’s favourite was a plate of grilled squid on crispy cabbage salad bed. Further down Cale Pagés there is a small square (Plaza Aliatar) where the bars start up a bit earlier. 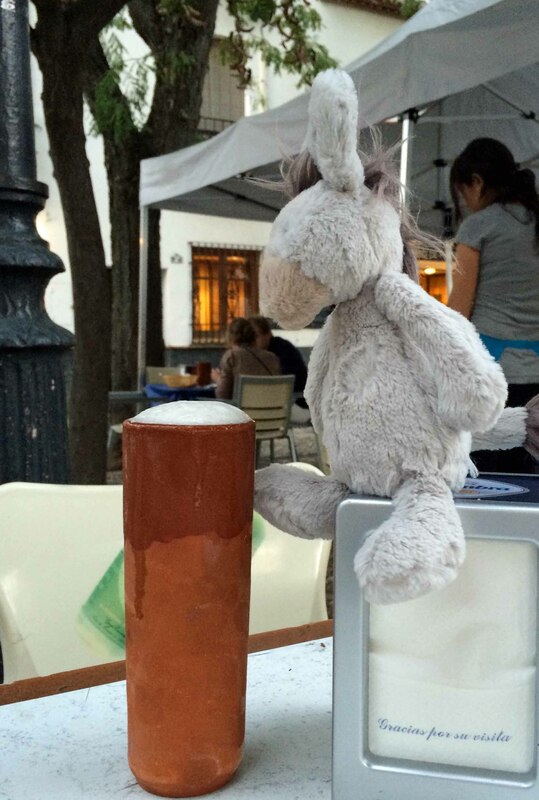 The tapas there is not as good but DonQui rather liked the ice cold beer served in a clay beaker at El Panero. So a beer there first and then up to Torcuato for wine and food. 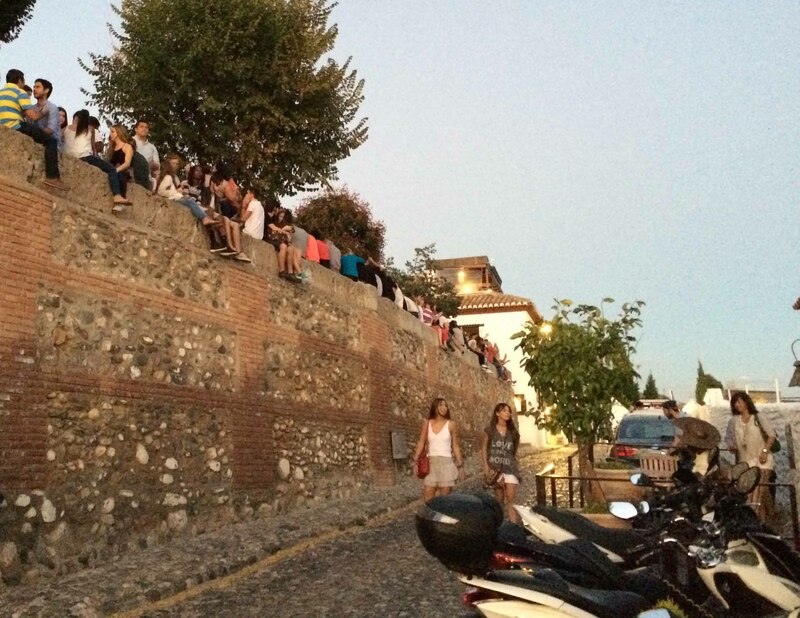 The Mirador San Nicolás is the place to go for a sundowner with unbeatable views of the Alhambra as the setting sun catches the walls. 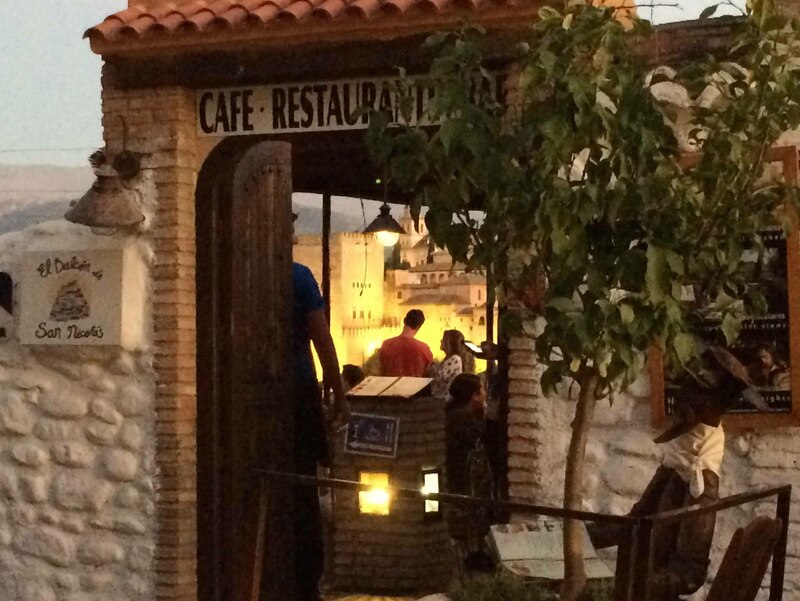 …but DonQui prefers to have a drink at either El Balcón de San Nicolás or the El Huerto Juan Ranas next door. 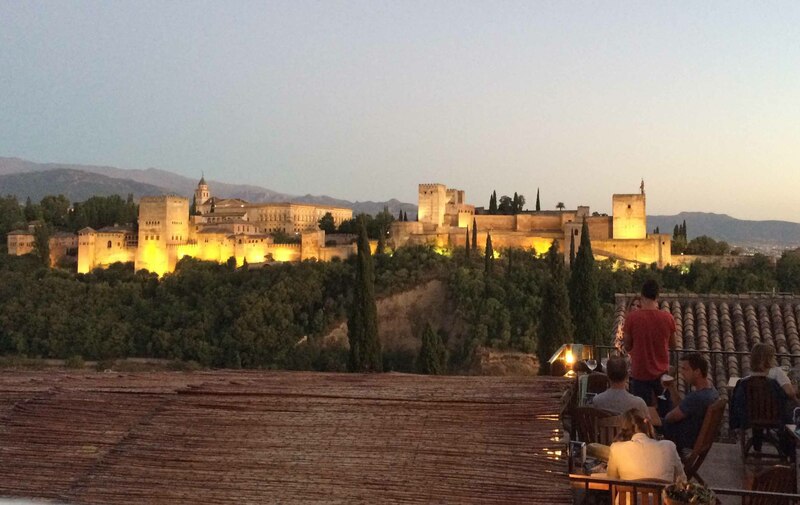 Neither of these places have free tapas but they have great views of the Alhambra and comfortable seats. 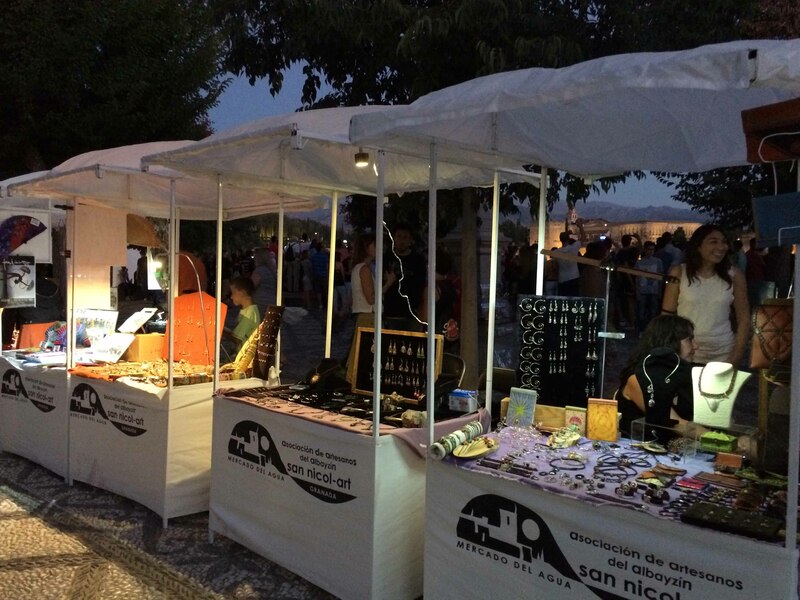 In the square a number of artisans set up stalls to sell their wares to the tourists. It is all quite atmospheric.